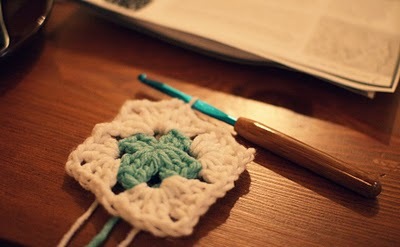 when i originally posted my list on flickr, erin offered to teach me how to crochet. 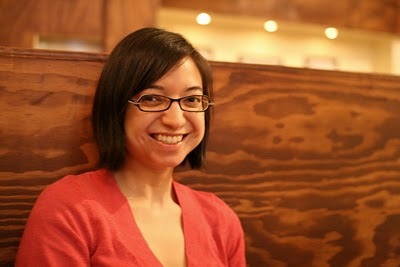 so, a couple of sundays ago, we met up at birch coffee in the flatiron district and got to it. my first partially completed, almost correct granny square pentagon. still, not too bad for my first try! 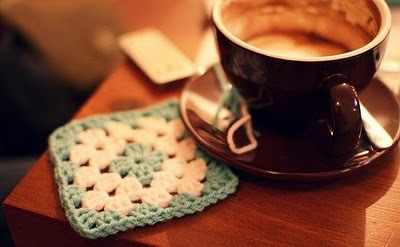 here is erin's much more professional looking granny square. told you she's good. she was a great teacher, too. thanks again, erin! looking forward to our next crafternoon!